Canadians love their cottages. In the interest of disclosure, we have just built our family cottage and have deemed the first two weekends of operation a success. It might seem strange, but we are already talking about what if our kids want to keep the cottage in the family. You have to wonder if it’s the wisest financial decision since it’s even a great emotional one. There are options, and choosing the best one for your family takes an honest assessment of your family situation and the collective families’ financial situation. You could shift the financial burden to the children, especially in terms of upkeep and expenses, that may lead to the cottage being left to fall into ruin. A secondary home doesn’t come cheap, and clearly not all family members can afford it or want to afford it. You could transfer the financial burden on to the parents – need to pay a hefty tax after transferring the property to the children. Selling too low and taking a loss never seems to be the right course of action. One child wanting to sell while others do not – this in part could be remedied with a written agreement, like prenup, to avoid challenges down the road. I reached out to Jason Pereira, CFA and senior financial consultant, with Woodgate & IPC Securities Corp. He also teaches financial planning at York University’s Schulich School of Business to explore ownership options and financial solutions when dealing with the family cottage. As parents, one option to consider is designating their cottage as their principle residence. Of course this only makes sense if your cottage has grown by more than your home in the city. The best option for paying the tax bill is often insurance. Even if you have other assets that can pay the bill, insurance is the only option that will provide you with funds to pay the tax bill for less than the cost of the tax bill. 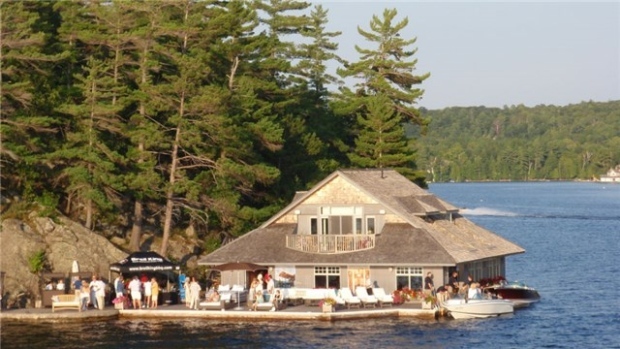 It is a myth to think you can sell your cottage for a $1 to your children or even at a discount, CRA can come back and reassess the value of the cottage and stick you with the actual tax bill, plus interest and penalties. Holding a property jointly will avoid probate but doesn’t avoid the tax bill and of course can be problematic for other family members. Almost no one thinks of drafting up a partnership when buying or inheriting a cottage with family members but it is highly recommended. Address issues such as: what happens if one child wants to sell and the other doesn’t? What happens if one wants to buy the other out? Or if one falls behind financially? The point is it needs to be a legal document. Finally, if the intent is to leave the cottage to the children and buy it now, it might be a good idea to consider making the purchase in trust with the children as the beneficiary. Doing so has several advantages: 1. you maintain control 2. growth in value of the cottage is going to be taxable when your children sell it or pass away – and not on your death, avoiding probate and protecting it in the event your children pass away. However, you can only keep the cottage in a trust for up to 21 years before you have to transfer it to your children or paying taxes on it, so this isn’t a great option for younger buyers. Maybe you decide to use the cottage for a while and sell it when it feels right. Once again, there are always going to be emotional and financial considerations.